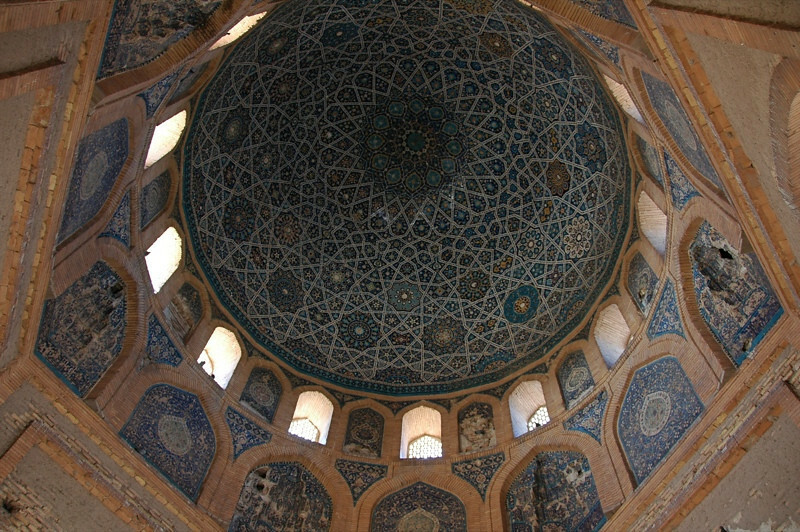 Known as the pearl of Konye-Urgench, this mausoleum sports beautiful geometric patterns on its inside dome. There are 365 sections on the sparkling mosaic, 24 pointed arches, 12 bigger arches below that and four big windows (representing the weeks of the month). A plethora of symbolism in one tiled dome, by any measure...No one seems to know who is buried here, but the mausoleum is dedicated to the daughter of a Mongol Leader. Read more about our visit to Turkmenistan.